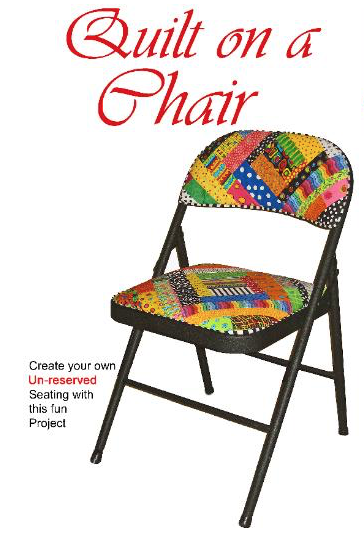 Join Dianne Springer for a fun day of creativity making your very own Quilt on a Chair! Create your own Un-reserved seating with this fun project! Bring Your Own Metal Chair (make sure it has screws on the back and bottom to remove the padding) or Dianne will have chairs available for purchase! Bring your sewing machine and basic sewing supplies!